It is always proper etiquette to thank anyone who gives you a gift. This would not be any different for your wedding guests. You must take the time out of your busy schedule to sit down and write thank you notes to each and every person that gave you a gift. It is so important to try and add a personal note to each guest thanking them for the exact item they gave you. It shows this is not a generic note but was personalized especially for them. 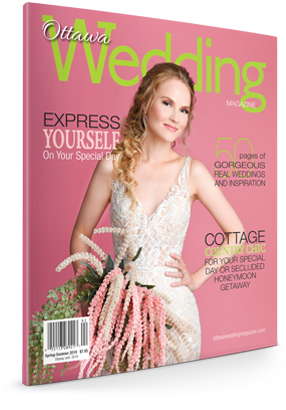 If there is one thing I would say is please…please….please….do not wait too long to send out your wedding thank you cards. As soon as you come home from your honeymoon start working on them and get them in the mail. Thank you cards should not be sent 6 months after a wedding. 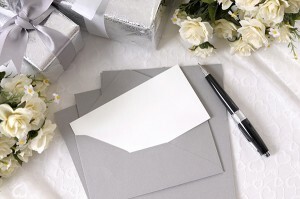 Do it while it is fresh in your mind so try to send your cards no more than a month after the reception. Before the wedding you may already have your thank you cards as part of your invitation package. Start addressing them and purchase the stamps before the wedding. Set them aside so after the wedding you just have to write the note. I mailed all my wedding thank you cards two weeks after the reception. You would not believe how many comments I received on how surprised people were to have received them so quickly. If you want to take it a step further it’s also very thoughtful to send a thank you note to your mom, dad, siblings and bridal party. Family is very important and through the wedding planning I am sure they were by your side the whole time.